Conejito's Place -- 7:30 - 9:30 PM. Taught by Keith & Susi. $3. Beginner, intermediate, and advanced lessons. Partners are rotated. Come alone or with a friend. Large polished wood floor mirrored hall. 539 W. Virginia (2 blocks north of El Babalu). (414) 483-8364, (414) 278-9106. 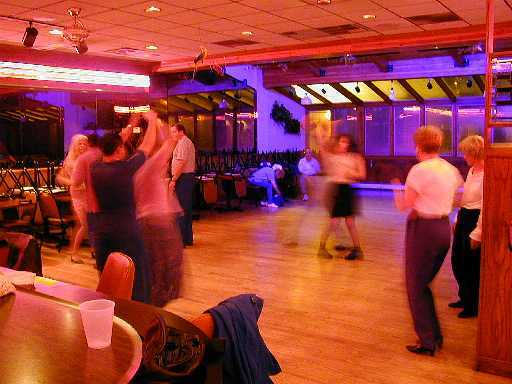 The Conejito's salsa lessons are usually attended by 30-40 students. Each class begins with a review of the basic step for beginners, followed by an intermediate and an advanced level routine. Relaxed, friendly crowd. After class, the instructor and students hang around to socialize and order a taco. El Babalu -- 6:30 Intermediate. 8:00 Beginner lesson. Instructors Ivan and Sodie. Ivan has travelled the country for salsa and can show you cool patterns you will not find anywhere else. $10. 611 W. National. (414) 383-4044. Club Havana -- Around 8:30PM Uri is the instructor. No charge, no cover. 789 N. Jefferson. (414) 273-0555. Uri's teaching style is working with couples one-on-one. He will show each couple a cool salsa routine suited to their level. No partner rotation. Guys may want to bring a partner. (For those with little or no salsa experience) 7:00-7:50pm. Learn the basic techniques for an elegant, smooth salsa style. Taught progressively week-by-week. No partner necessary, but helpful. $10 per week(single)/ $15 per week (if you bring a dance partner). Partners are rotated, and practice dance time is available at the end to dance with your own partner. We will emphasize techniques for graceful, smooth footwork, individual styling, and fluid turning. Learn to dance the basic steps with ease - up to full speed, to popular club music. Both men and ladies will learn proper basic techniques for single spins, footwork, and leading and following basic stepsand the first turn combinations. We will learn foundation skills for subsequent levels teaching more turn combinations, crossbody leads, and more advanced work. Subsequent classes will build on the combinations learned in Level 1. Ladies!!! - we will have some men in class without partners! Attire - please dress for comfort. We will definitely be getting a workout with our shines/freestyle warm-up. Comfortable shoes for easy movement are a must -- sticky, rubber, sneaker soles makes turns difficult at times, similarly, really slick leather soles can lead to wipe-outs. For more info write to anita@milwaukeesalsa.com. 614 N. Broadway. (414) 271-1002. Club Havana -- 8:30PM Uri is the instructor. No charge! 789 N. Jefferson. Uri's teaching style is working with couples one-on-one. He will show each couple a cool salsa routine suited to their level. El Babalu -- Beginner salsa lesson around 9:30 most weeks. Lesson is 30-40 minutes long. No partner needed, partners are rotated. $5 cover. 611 W. National. (414) 383-4044. 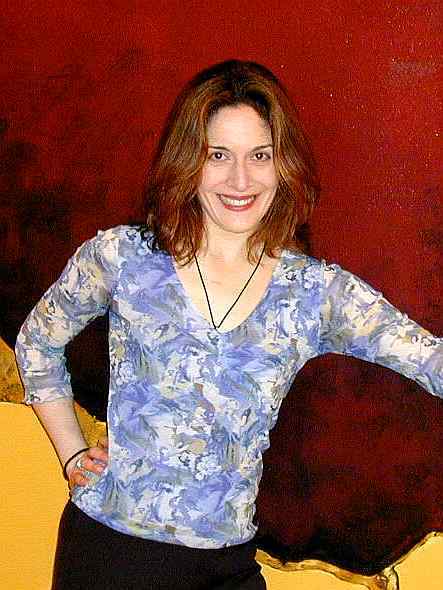 Anita from EastTowne Ballroom teaches private salsa lessons. She currently teaches social salsa, merengue, and bachata for the novice/beginning dancer. Anita also teaches international and american style latin ballroom dancing (chacha, rumba, bolero, samba, jive etc) for both social and competitive dancers at beginning and advanced levels Write to anita@milwaukeesalsa.com or call (414) 271-1002. The rec department holds Salsa/Merengue classes 4 times a year (spring, fall, winter, summer). The sessions are 6 weeks long, 90 minute classes. Cost is $24.50 for Milwaukee resisdents, $37 non-residents. ($4-6 per class). The level of the classes is fairly basic. Partners are typically not rotated. The class at Riverside high school generally has the largest classes (60-80 students). At the end of the session, the class usually takes a field trip to El Babalu on the Friday following the last class. Other dancers note: The night this class hits El Babalu, there are dance partner possibilities galore. Worth marking the calendar for.